In a move that expands a broad coalition of governmental, business, nonprofit and civic organizations to benefit the youth of Los Angeles County, First 5 LA Executive Director Kim Belshé joined in the L.A. Compact signing ceremony on December 14 that welcomed its newest partners: the Los Angeles Unified School District (LAUSD), the Los Angeles County of Education (LACOE) and United Teachers Los Angeles (UTLA). The ceremony, held in the library of the Robert F. Kennedy Community Schools Campus on Wilshire Blvd., included L.A. Mayor Eric Garcetti, LAUSD Superintendent Michelle King, UTLA President Alex Caputo-Pearl and LACOE Superintendent Debra Duardo, as well as many other dignitaries. As a current partner of the L.A. Compact, First 5 LA recognizes the importance of collaboration between leaders from diverse sectors of society to bring about change that gives children the best start in life. Most recently, the L.A. Compact launched an effort in partnership with First 5 LA and Children Now to explore the adoption of a common Kindergarten Readiness Assessment across L.A. County schools. The new signees from the education field bring the number of L.A. Compact signers to 24. The L.A. Compact is convened by UNITE-LA, a nonprofit, independent affiliate of the Los Angeles Area Chamber of Commerce. Read more about the signing ceremony and the L.A. Compact here. First 5 LA participated in an event held by the Los Angeles Area Chamber of Commerce that, for the first time, recognized an employer who has implemented extraordinary practices for their employees and families to ensure a work-life balance. 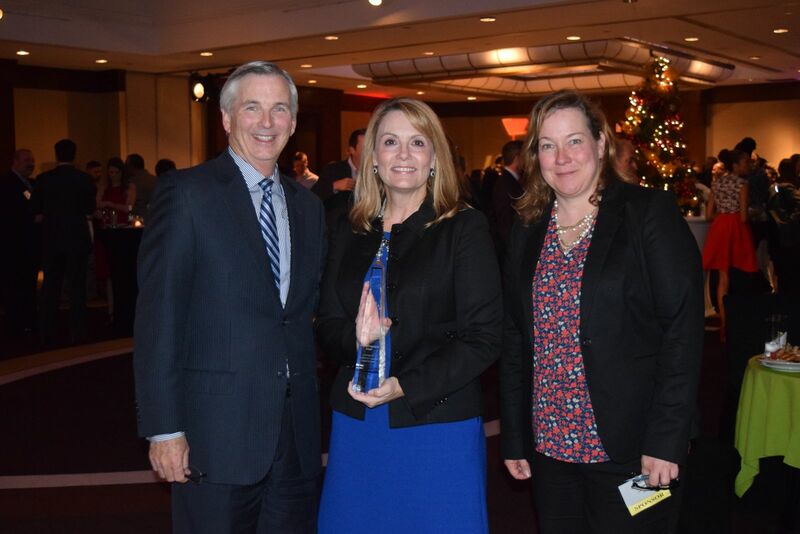 As part of the Chamber’s Annual VIP Holiday Reception at the Omni Los Angeles Hotel on December 5, the award was presented by First 5 LA Director of Strategic Partnerships Jennifer Pippard. As an agency whose mission it is to ensure that all children in L.A. County enter kindergarten ready to succeed in school and life, Pippard noted that First 5 LA was proud to be part of this new effort to recognize a company that understands the importance of work-life balance and that supports employees as they give their best at work and their best in taking care of their families. During the selection process, Pippard explained that First 5 LA worked with the Chamber to examine more than 100 employers in the L.A. region who provide exemplary work-life practices.